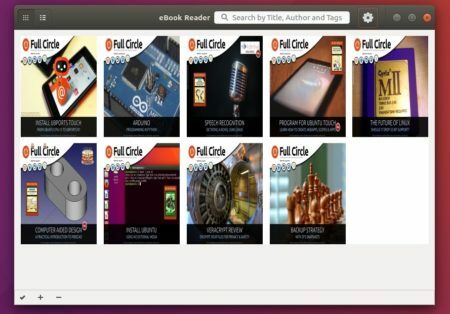 Bookworm is a simple eBook reader with a modern user interface. It’s so far supports EPUB, PDF, MOBI, CBR, and CBZ file formats. 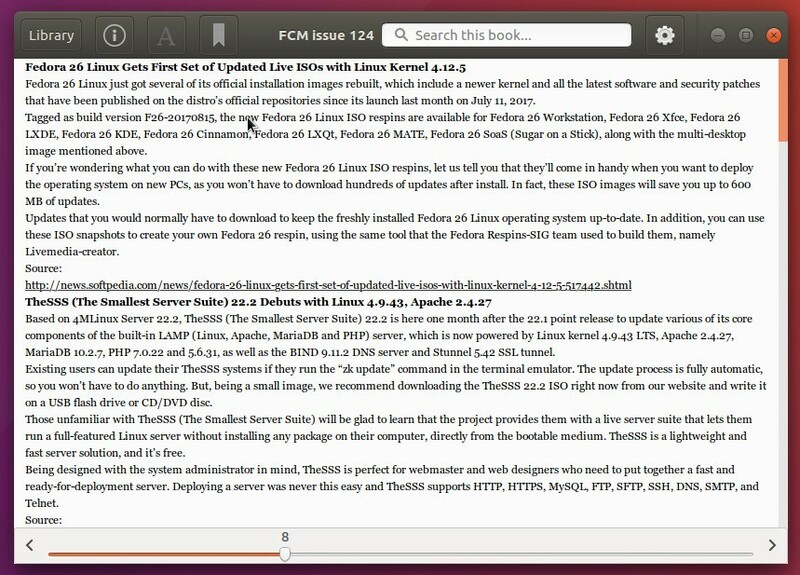 An info button provides “Contents”, “Bookmarks”, and “Search Results” in three tabs. Keyboard shortcuts to navigate pages, change font size, enter/exist full screen. And see its web page for more. 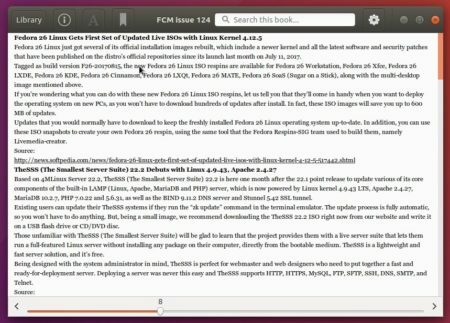 The ebook reader has an official PPA repository for Ubuntu 16.04, Ubuntu 17.04, and derivatives. And remove the PPA via “Software & Updates” utility, under Other Software tab.